Superdry men’s Classics Team Tricot track jacket. This track jacket is perfect for your post-workout look and features a front zip fastening and two front zip fastened pockets. 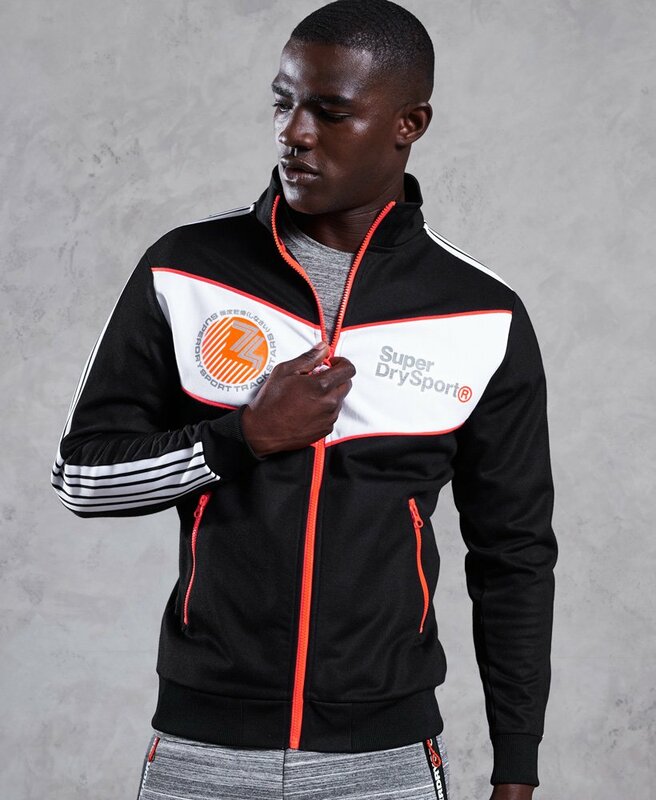 The jacket also features rubberised Superdry Sport logos on the front and back, and reflective detailing. The Classics Team Tricot track jacket is completed with a stripe design down both arms a ribbed hem and cuffs.